Handmade crochet accessories always look feminine and elegant. 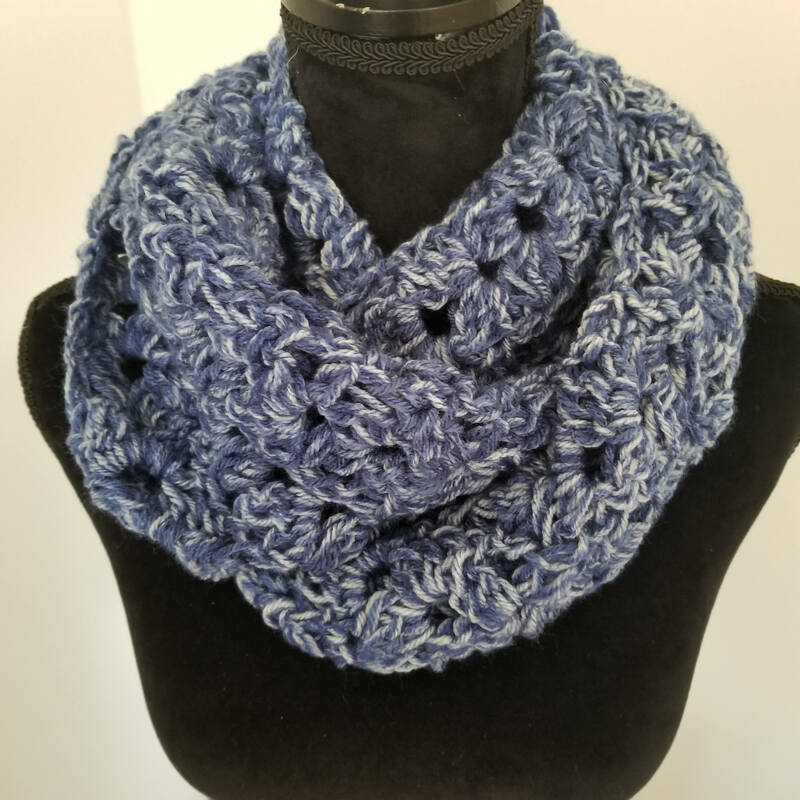 This pretty crocheted scarf can make your look romantic and affectionate. The item features a traditional shell stitch pattern. The yarn is a multi-color consisting of medium blue and white. This scarf is for you. You can wear this accessory as a scarf down loose, doubled up or even tripled for warmth. If you`re looking for something 100% classical - draw your attention to this item! The scarf can be machine washed gentle cycle in cold water and please tumble dry low. Scarf measures 52" in circumference and 9" wide.